Startup anonymous; running a business, managing a team, or completing a task on time – no one needs to do it all alone. 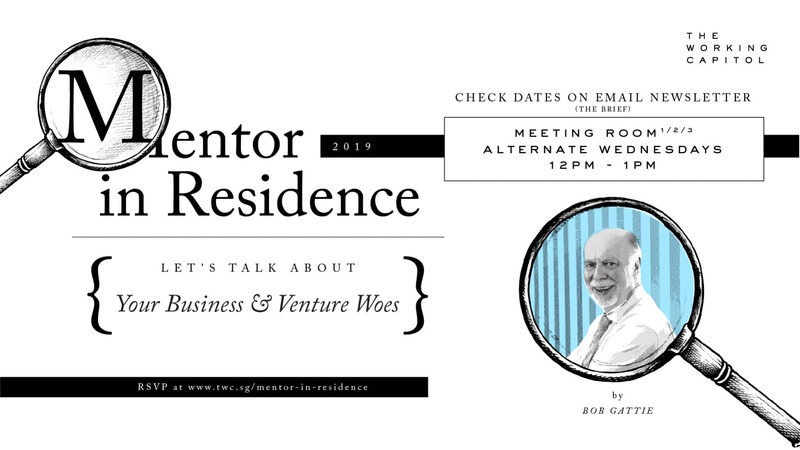 Bob Gattie, our in-house mentor with his host of experience from years, is around to give you company, advice, or both! Previously discussing a list of persisted topics, our Mentor-In-Residence discussions will now need you to bring up topics to dissect. From Branding to Marketing, from Team-Management to Time-Management – pen down what could be of a worry, and Bob will get you (almost) all the answers!